"Our Best....First Time, Every Time"
His coachability, effort and attitude make him the player that the coaching staff would want other players to emulate. Captain Nick Trentman finished his high school career continuing to do the dirty work in the middle of the field. A strong tackler and nearly impossible to dispossess, his leadership on and off the field served as the glue to this Miamisburg squad. With tremendous fitness, and a desire to win, Nick combined with his midfield mates to control the middle of the pitch and guide the play forward. This unselfish play and team first mentality were a key component in pushing the squad to an 11 win campaign and earned Nick a repeat of the Viking Award. The Captain of a team should be a player that is unquestionable in demeanor, effort, and level of play. Junior Nick Trentman filled these qualities to the fullest extent this season. The most difficult player to dispossess, he was the rock of the midfield averaging seventy two minutes a game. Calm on the ball, strong to tackle, and stalwart off the field as well, Nick personified leader. There was not a more reliable player on the field than Nick Trentman. Though not registering a single scoring point, his play was well noted as he was selected First Team All GWOC and earned the program's highest honor- the Viking Award. Ryan Zech wins the Viking Award for the 2015 season. As a senior Captain Ryan came into the season to earn his 4th Varsity letter. His leadership both on the field and off the field along with his skill also earned him the MVP award . He was 1st team all GWOC south and 1st team All Greater Dayton South this season as well. 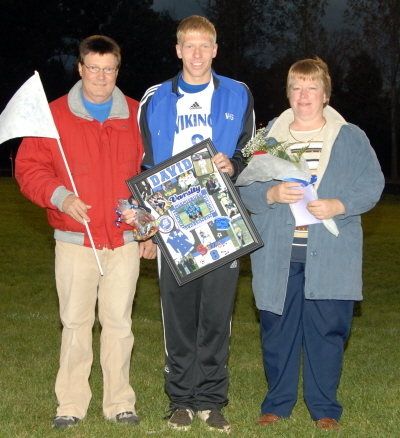 Ryan played mostly defense in his 4 years as a Viking but his senior season he played in the midfield as well. He had 3 goals and 3 assists leading the team in offensive points. He was instrumental in beating West Carrollton all 4 years to keep the Gary Kimmel Traveling Trophy. All these awards while deserving are a shadow to the character this young man has. The way he carries himself on and off the field , his respect for his teammates, coaches , fans , opposing teams , opposing coaches and the referees is some of the many things that set him above his teammates for this award. Lucas Eshbaugh was a returning Captain in his Senior year . He brought with him the same great qualities he had in his Junior year and added confidence to his play and leadership. He was a player that did all the little things in practice and games to give his team the greatest chance to be succesful. He would cover other players moving forward defensively and do the work to get up and down the field in support. His work rate is un matched at everything the team did . If they ran sprints, he led in giving every effort he could in every sprint. If they did distance , he led in pushing himself and his teammates to go farther faster. He vocally led in every drill and every game with constant encouragement and precise instructions. 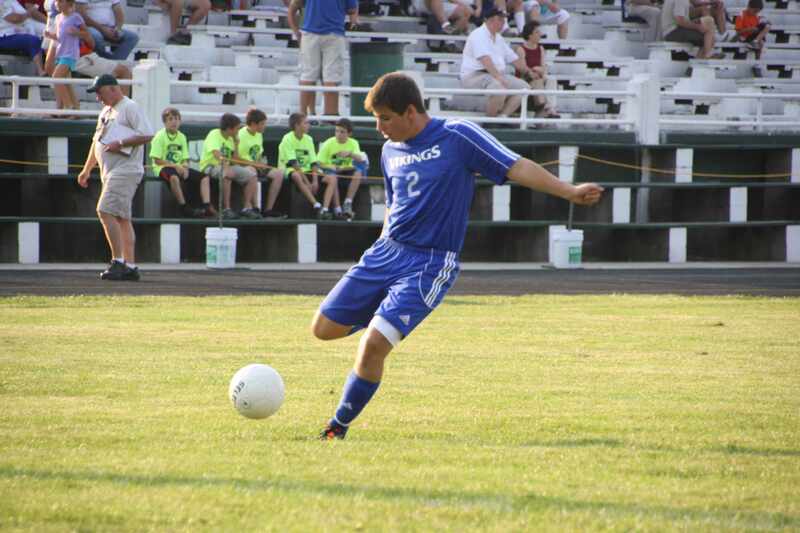 Lucas had 2 goals and 2 assists his senior year playing almost every minute possible. His contribution on the field and importance to his teammates and coachs could not be measured in stats . Noone could ask for more effort and total team play from him every day. He truly did the work that allowed others to shine statiscally. Lucas earned his 3rd Varsity letter and the Kettering Sportsmanship award this season. He had a goal and assist against West Carrollton to keep the Gary Kimmel Traveling Trophy. Lucas is the only player to date to win this award twice. Our program is lucky to of had him in it and all players should strive to be the player and teammate that he is. He also is part of the only 2 brothers to win this award. 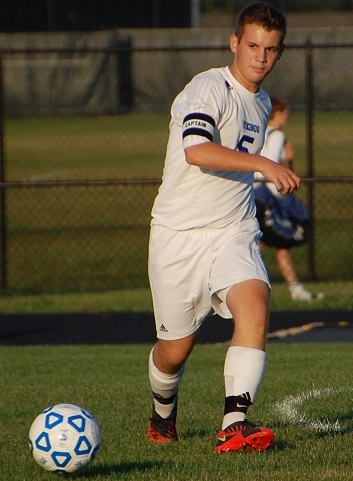 Lucas Eshbaugh was a Captain and led by example playing in the Midfield. Lucas truly gave 100% effort 1st time every time in the offseason , tryouts , every practice and every game. He was the vocal leader for us this season both at practice and games keeping himself and his teammates positively motivated and focused on getting better and staying composed. In 2013 Lucas’s Junior year had 2 goals from 11 shots on goal . He had 5 assists for the season showing the team player that he is. His quick passing skills come from his ability to see the field at a fast pace and find his open teammates. He has a calmness with the ball that helps with our possession game. He started in all 18 matches earning his second varsity letter. 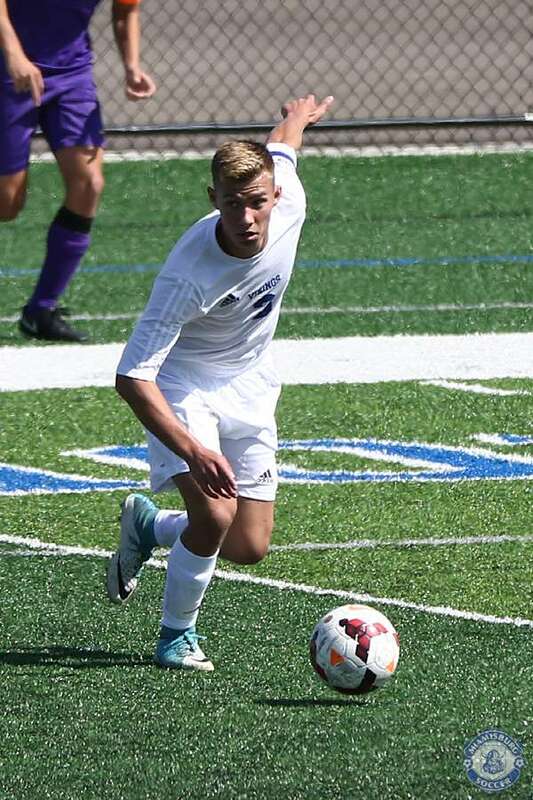 Lucas was voted by area coaches to GWOC South First team and All-Area Dayton South third team. 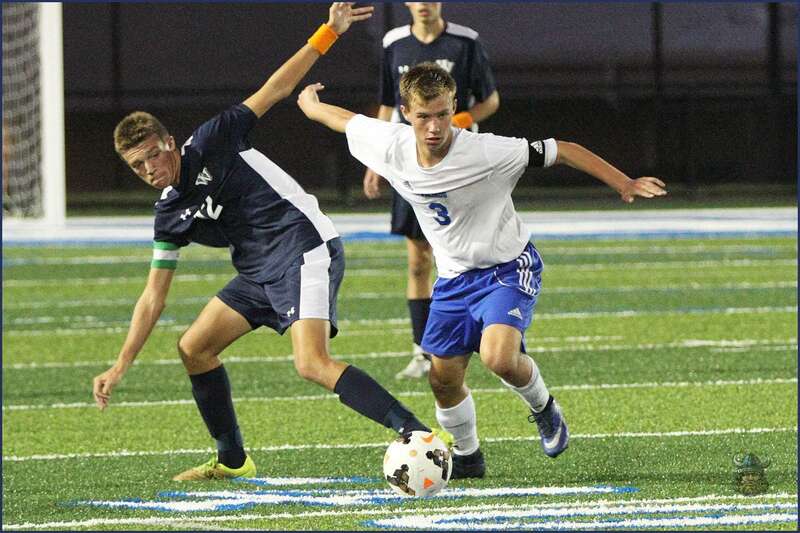 His season highlights are scoring 2 goals for a 2-2 tie against Fairborn a GWOC South opponent. He had 3 assists against Greenville. 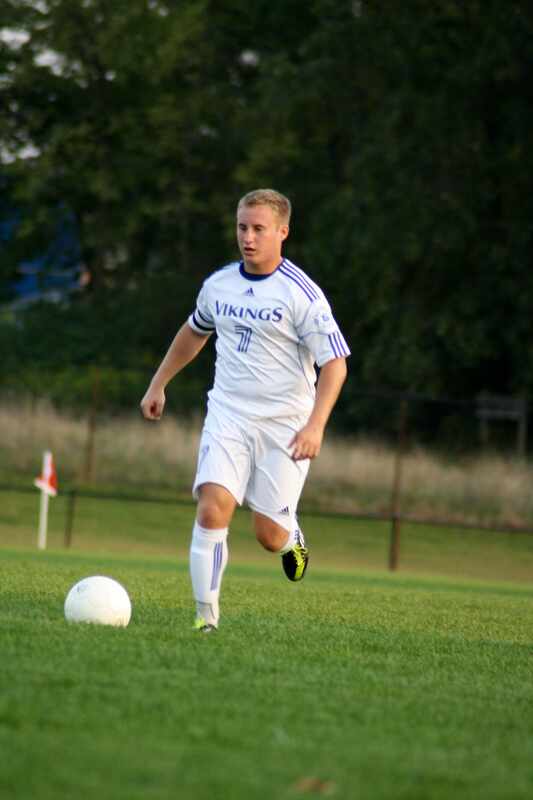 Patrick Zengel Earned the Vikings Top Award for the 2012/2013 season . Patrick gave 100 % at every practice and game beginning in the off season and continueing until the final whistle of the season . He played the stopper position this season often man marking the oppositions best players . His calmness winning the ball and getting his head up to find a teammate and get into the attack made us solid in the middle of the field. 2012 , Patricks Junior year , he started in 11 matches Earning his second varsity letter. He was injured part of the season and showed how to be a team mate helping players during every practice and game however needed. If there was one thing we could count on it was that Patrick would be at everything no matter what and help and support his teammates . "Patty" Had 2 outstanding matches that showed his defensive strengths and never quit attitude . He shut down the top player for Wayne for a half fighting through a serious injury that hobbled him in the 2nd half . He asked to change positions at Sringboro to give us more solid play at halfback controlling the middle of the field and starting our offense. He was a key part of a young defense that had an outstanding season. Jordan Eshbaugh was the team's vocal leader who gave an all-out effort in every practice and game. He played the outside right back position supporting the attack at every chance and looking to make the long cross-field switch of play. He completed 4 of the 5 expectations coming into the season. In 2011, Jordan's senior season, he started all 16 matches in which he played, earned his third varsity letter and was one of the tri-captains for the squad. His ability to push the counter attack out of the back was vital to the offensive game plan. He had 5 assists, 16 shots on goal and 81 steals. He also was an important piece to the defensive effort that tied the school record of least number of goals conceded in a season at 20. Jordan earned GWOC South Second Team All-Conference. The sectional championship was a double OT penalty kick thriller that came down to Jordan to close out the match. 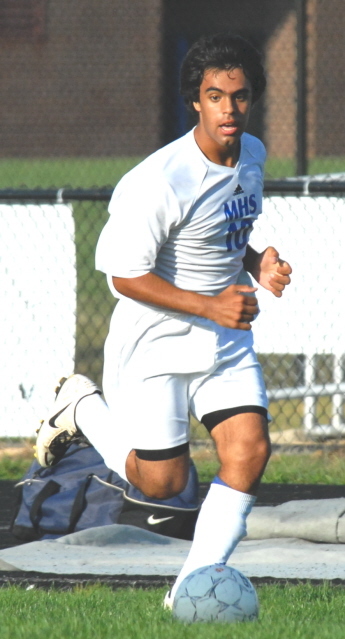 His successful PK gave the Vikings a 2-1 win and its third sectional title in four years. Jonathan Soto was the team's stopper in 2010 and was a "brickwall" in defense. His desire to do whatever it took to win the ball was paramount to his play. His physical presence, speed and skill made him a force on the pitch. He completed all five team expectations coming into the season. In 2010, Jon's senior year, he started all 19 matches and earned his second varsity letter. He played in over 93% of the minutes available. Jon's man-to-man marking on the opponent's top forward was stellar as the team only allowed 27 goals. He had 41 steals for the year and helped lead the team to its second sectional championship in the past three years. Jonathan was named GWOC South Special Mention for his efforts. 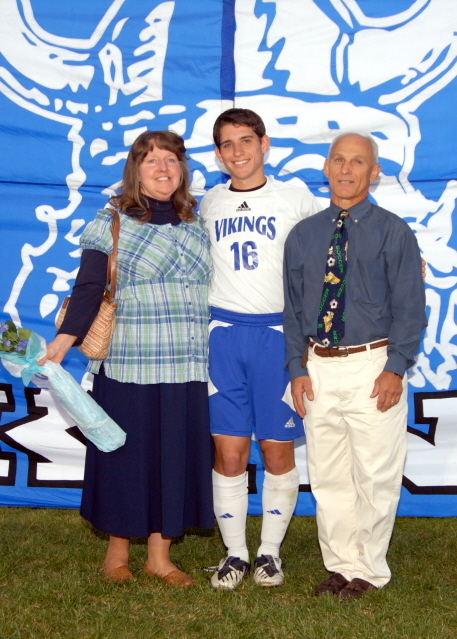 Jonathan was named the 2011 recipient of the 4-year Vikings Booster Scholarship. Jimmy Tuccillo was "Mr. Versatility" for the Vikings in 2009. He played goalkeeper for the first portion of the season and then switched to forward to help the team later in the year. His commitment to doing what was best for the team was critical to the team's success. He completed all five team expectations coming into the season. In 2010, his senior season, Jimmy once again played multiple positions to help the squad. He was named team captain, earned his third varsity letter, started 15 matches and for the second year in a row was voted GWOC South Second Team All Conference and Dayton South Third Team All Area. Nathan Wright played forward for the Vikings and was a "bulldog" up top. He was the team's energizer bunny because he just kept going and going and going. His fitness and skills allowed him to challenge the opposition for the entire match. He completed all five team expectations coming into the season. David Schmolinsky was a "rock" playing outside left back for the Vikings. His love for the game pushed him to excel and drove him to strive for continual improvement. He completed all five expectations coming into the season. 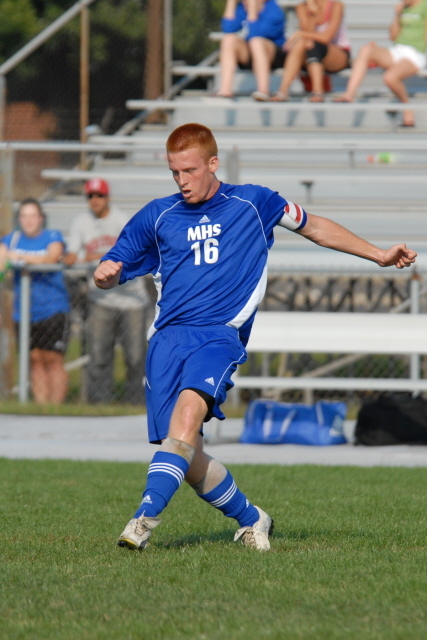 In 2007, his senior year, David rarely left the pitch while starting all 18 matches. As one of the co-captains and two-year letterman, he led the team in steals, was second in minutes played and was an outstanding two-way defender. He made those around him better. David earned GWOC South Second Team All-Conference. "Schmo" 's best outing was in the first round tournament game versus Tecumseh. The team had given up two goals in the opening minutes and he became the catalyst for change. His effort inspired the team and he willed them to victory with his all-out effort and leadership. Andrew Gray was the perfect center back...big, strong and with just enough speed to get the job done. He played stopper for the Vikings and was a great leader to a young team. He completed four of the five expectations coming into the season. His last minute 50 yard score versus Wilmington, known as the "Go Baby, Go" goal, will be a Miamisburg soccer highlight and memory forever.